breakfast recipes – Get Cooking! While September is National Breakfast Month, February is National HOT Breakfast Month. Given that I am a bona fide breakfast fanatic, I feel that breakfast not only deserves two months, but it’s well within reason for it to have 10. Seriously, what’s not to love about breakfast food? Waffles with syrup seeping into its crevices, pancakes with butter melting down the sides, blueberry muffins with their warmth and sweetness, scrambled eggs with Monterey Jack cheese, bacon, sausage, scrambled eggs with cornbread, French toast with cream cheese and orange marmalade nestled in between its delectable layers..
Let’s make that 12 months breakfast deserves. Berries – I’m crazy about blueberries, blackberries, strawberries, and raspberries and work them in any chance I have. I’ve declared my great love for Krusteaz Gluten-Free All Purpose Flour on the food blog before. I’ve even posted recipes for Cranberry Pecan Cookies and White Chocolate Chip Pecan Cookies using this perfect gluten-free flour. It’s a staple in my gluten-free kitchen. 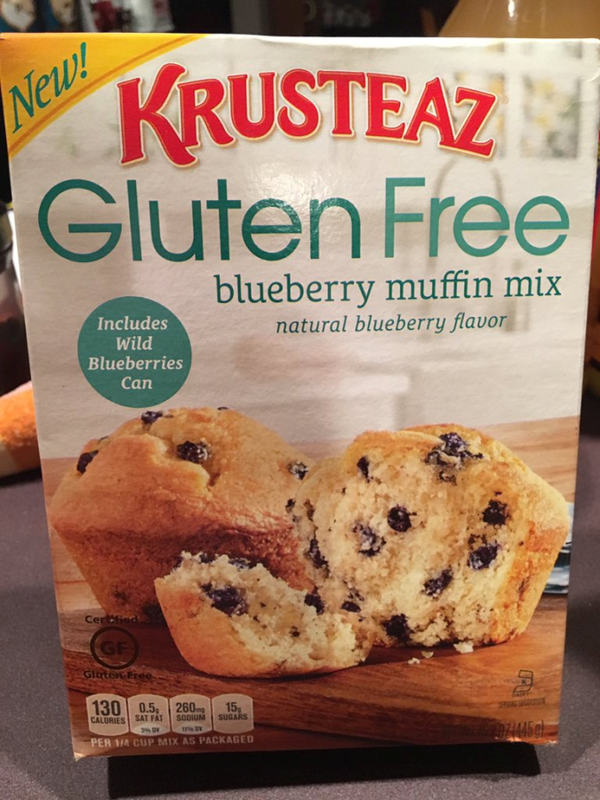 In fact Krusteaz is synonymous with gluten-free baking as far as I’m concerned. Mind you, all of their products aren’t gluten-free, but the ones that are could not be any better. I just saw on their website that they now have a Gluten-Free Double Chocolate Brownie Mix – O.M.G. I’ll be looking for that at Meijer’s today! A few days ago, I wrote about the Gluten-Free Honey Cornbread Mix in my recipe for Sloppy Joes Cornbread Pizza (other level delicious). If (like my cornbread loving husband) you can’t get enough of the flavor of great cornbread, you’ll love this idea for putting a breakfast spin on the Cornbread Mix – serve it with scrambled eggs or a breakfast casserole. Cornbread is delicious with butter and jam or even apple butter. Use it in place of toast for extra flavor. Plus, let’s face it, there’s just something so right about the way cornbread looks in an iron skillet. Krusteaz Honey Cornbread Mix is the best cornbread mix I’ve ever had (gluten-free or not) and is as good as homemade cornbread. To get a crunchier bottom, use bacon grease in the skillet instead of shortening or oil. It gives it wonderful flavor, too. This is the mix I used (along with the bacon trick) for my stuffing last Thanksgiving and it was AMAZING. 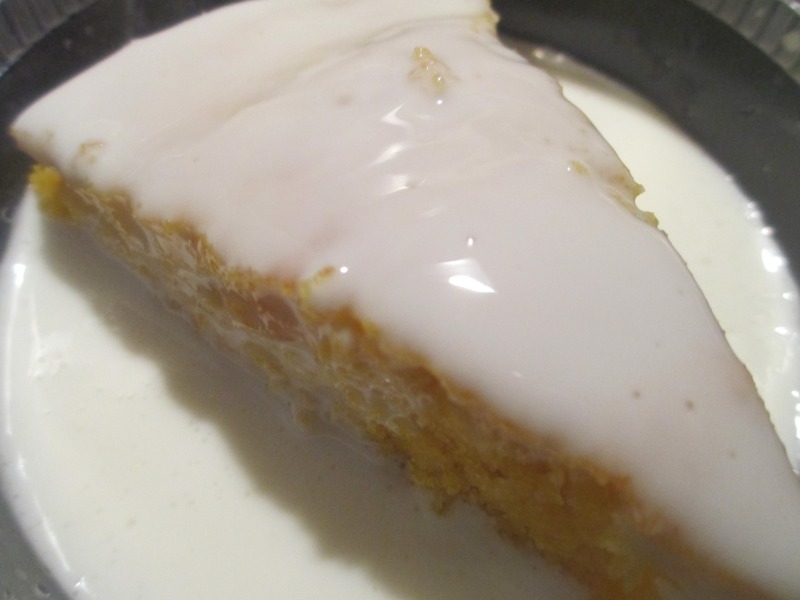 Have you ever taken a slice of hot cornbread and covered it with buttermilk? I remember seeing my grandmother and mom tear cornbread into pieces, place the pieces in a bowl and pour buttermilk on top. When I was a kid, I thought they were nuts. When I got a little older, curiosity got the better of me and I poured some buttermilk on hot cornbread – poking holes and letting it seep down into the golden goodness. Words CANNOT tell you how delicious this is. These ladies were onto something! Blueberry muffins are, in my opinion, one of the most perfect comfort foods in the world. Maybe it’s my fascination with berries, but I could eat them every single day of the year. They can be a little time-consuming, though, if you make them from scratch – but, unfortunately, most mixes are closer to comedy than comfort. The little dry things that pass for blueberries amaze me, and not in a good way. 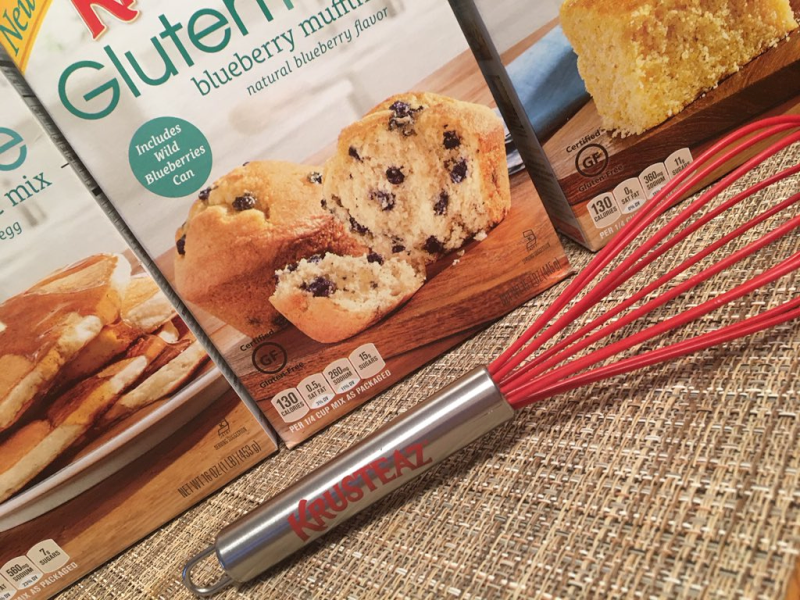 Krusteaz Gluten-Free Blueberry Mix uses plump little blueberries (packaged in a separate can in the box) that you drain, rinse, and simply throw into the batter. This mix couldn’t be any simpler and it couldn’t be any more delicious. 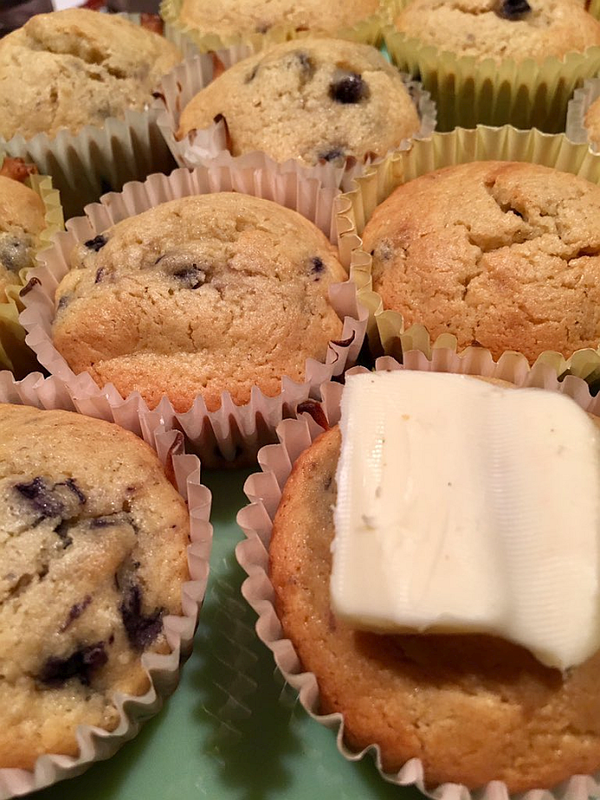 The muffins aren’t just quick, easy, and delicious, they have a little extra magic we gluten-free eaters RESPECT – they’re as good the second day as the first. For whatever reasons, this is often rare with gluten-free baking (whether from mixes or scratch). 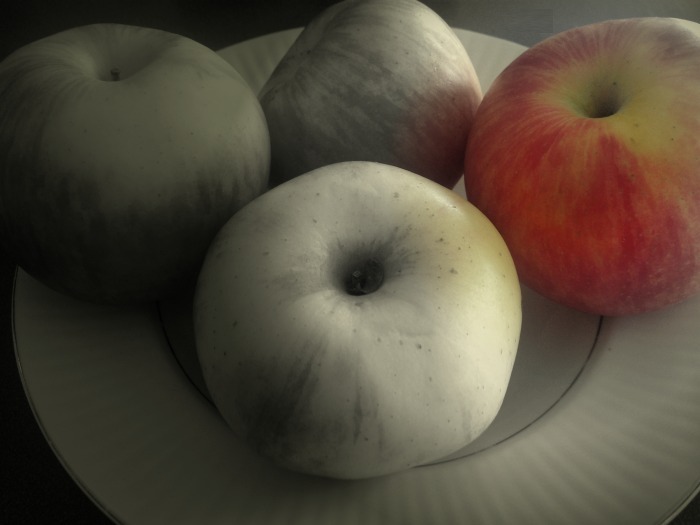 Somehow, with each subsequent day, the flavor deteriorates. I can’t vow for day three because they certainly didn’t stick around that long! I actually made myself hide one away so I could test it’s “next day/leftover” flavor. It passed with flying yummy colors. I didn’t this particular time, but you can toss in chopped pecans or walnuts and/or white chocolate chips for fun. 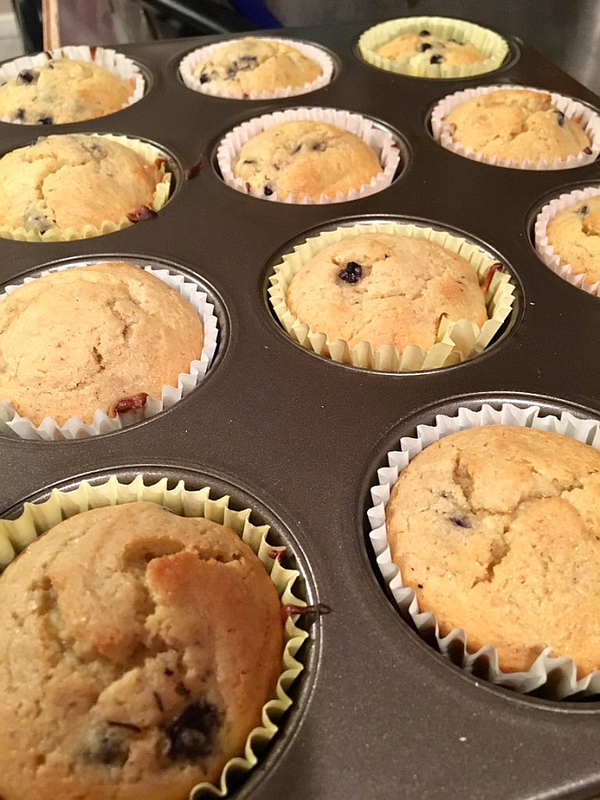 For easy cleanup, use paper liners – I’m not sure why but cleaning a muffin pan is near the top of my most hated kitchen chores. Paper liners keep the peace. I have used (and loved!) 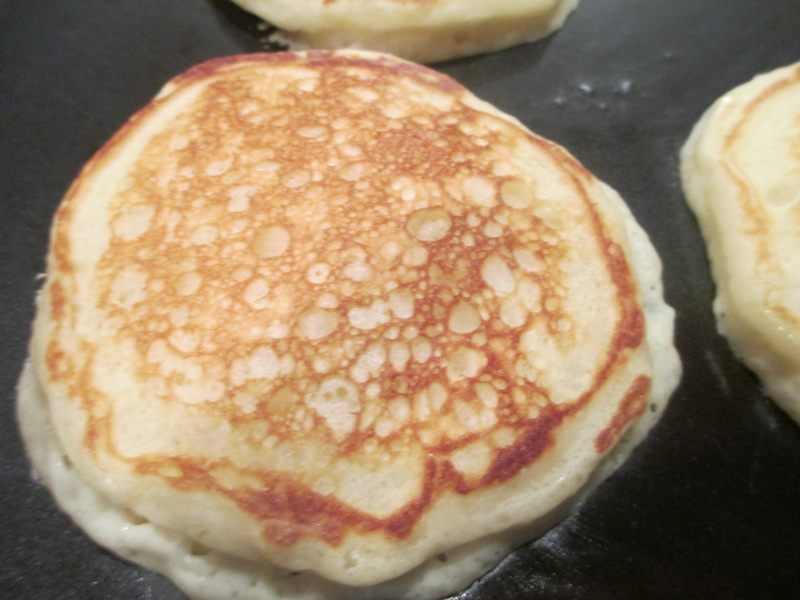 Krusteaz Gluten-Free Buttermilk Pancake Mix for pancakes – they’re perfect each and every time. I recently bought a new T-fal Sandwich Waffle EZ Clean, however, and was anxious to use it, so I made the Waffles recipe on the back of the box. The recipe calls for 1/2 the box but I wanted to see how the mix would do refrigerated overnight, so I doubled the recipe, using the whole box. I made some blueberry waffles for my husband and I last night (above) and they were stupendous. Seriously, they were out of this world delicious. Served with eggs over-easy and bacon, it was a supper we raved about all night. BTW, T-fal is as good as it gets for making breakfast or anything for that matter. 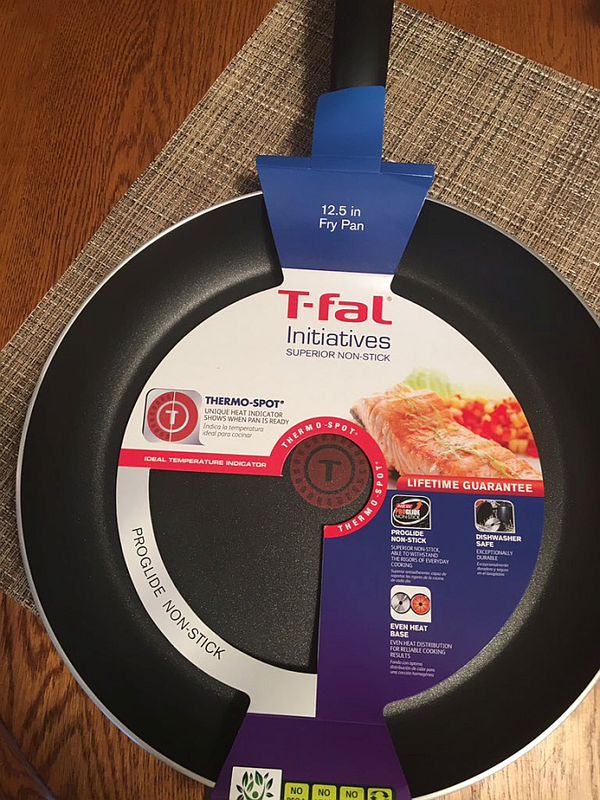 I’ll go more into their goodness in upcoming posts, including an in-depth review of my newest T-fal non-stick fry pan. Also, I wanted to let you know that later this month, in celebration of Pancake Day (March 3rd), Target will offer 15% OFF select non-stick cookware in stores and online. The sale will take place from Feb 27th – March 3rd. I’ll remind you as the dates draw closer. 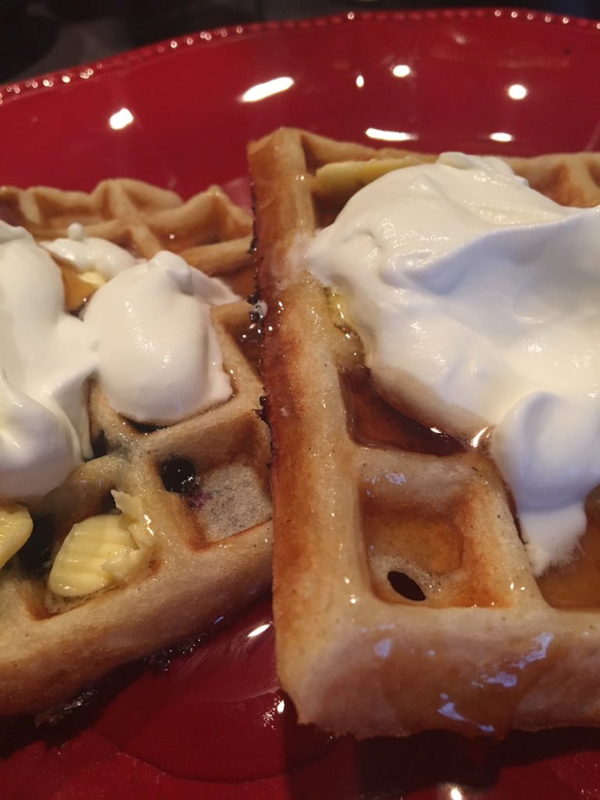 To add berries to your waffles, gently stir in the desired amount after you’ve combined the other ingredients. 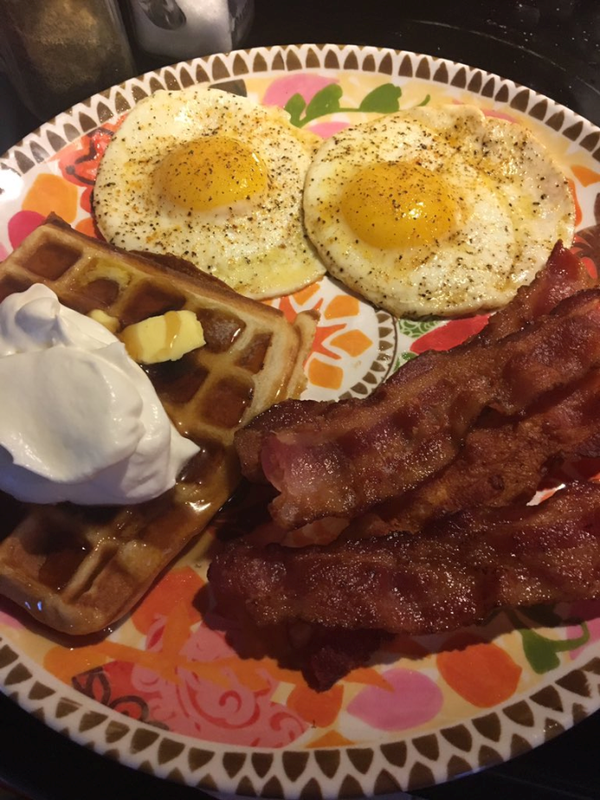 My husband was floored when I told him the waffles were from a mix. When he picked himself up, I told him the blueberry muffins we’d had a few days prior AND the cornbread for the Sloppy Joes Cornbread Pizza were also from mixes. He looked at me like I had two heads but I finally convinced him by showing him a box. He agreed with me that Krusteaz was in a class all their own. I refrigerated the rest of the mix overnight and this morning decided to add a few extra ingredients for fun. I chopped up a few handfuls of almonds and threw them into the mix. Then I added a tablespoon of healthy chia seeds (pictured below). I was really anxious to see if this mix did well refrigerated overnight because for anyone with busy mornings knows that putting together even a simple mix can FEEL time-constraining. Whereas making the mix the night before (maybe even while you’re in the kitchen making supper) and stashing it in the fridge is much more time-friendly. I was thrilled to see (make that taste) that the waffles are every bit as good the next day. Two delicious meals/One quick and easy mix? Come on, what’s not to love about that!? 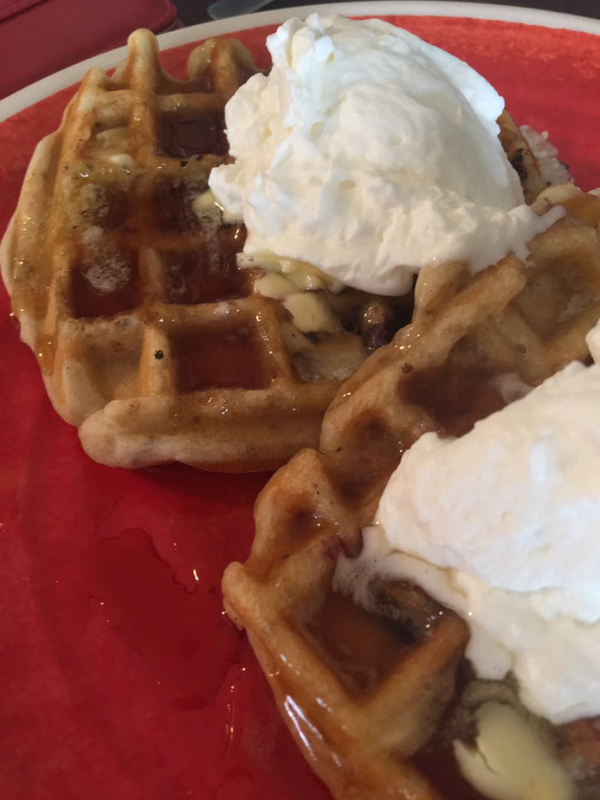 I wouldn’t dream of serving waffles without homemade whipped topping – it just wouldn’t feel right. 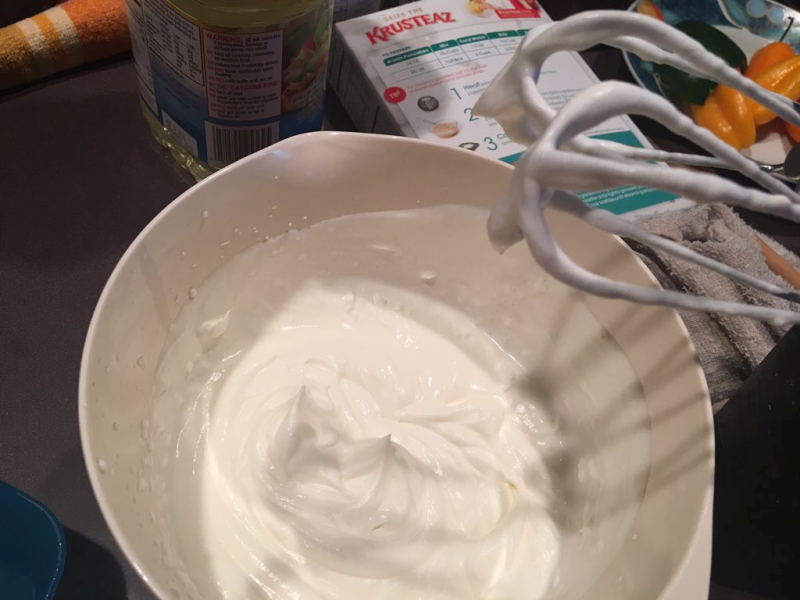 To make a wonderful topping (so much better than the stuff in tubs or cans), simply use your blender and combine 1 cup heavy whipping cream and 2 tablespoons granulated sugar until very stiff peaks form. 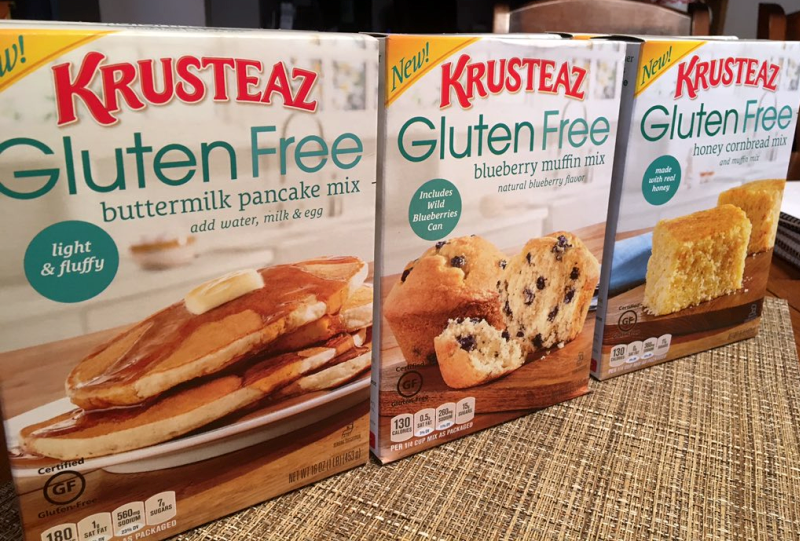 So there you have it… quick and easy ways to use and LOVE Krusteaz gluten-free breakfast mixes. These are simply out of this world. In the coming days, you’ll see Krusteaz and T-fal, for that matter, pop up in more breakfast recipes. In the meantime head over to the Krusteaz website for recipes and more information. You can find these mixes in most grocery stores. I find them, without fail, in Kroger and Meijer’s. I think I could eat grits at every meal – there’s just something so comforting and “right” about enjoying a hot bowl of grit deliciousness. When it comes to eating grits (whether it’s breakfast or supper), the options are fairly endless…. 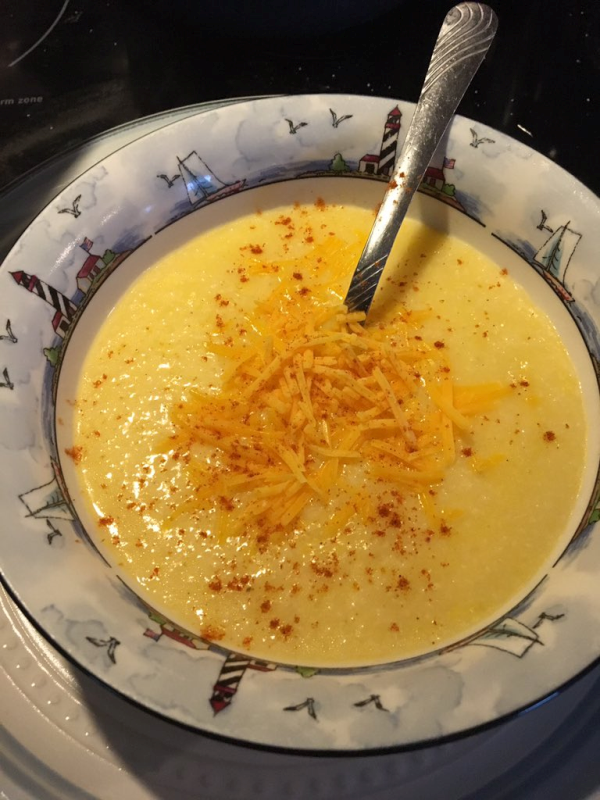 The quick and easy Monday Morning Cheese Grits recipe below is my Weekday Morning “go to recipe” – I love them any day of the week, of course, but on Monday mornings, I reallllly sing their praises. So quick. So simple. So easy. Bring water to a boil in medium saucepan. Add grits, slowly, to prevent clumping. Stir well. Reduce heat to medium and cook for about 12 minutes, or until thickened. Stir occasionally - grits really love to clump, so stay on top of your stirring game! Stir in cheese, a pinch of salt, and a dash of garlic powder. 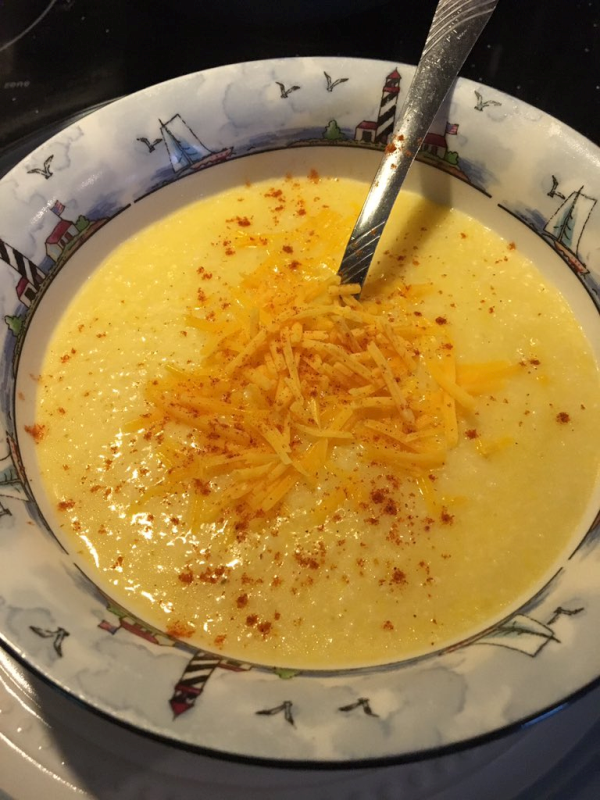 Pour grits into bowls and top with a little more shredded sharp cheddar. Sprinkle a little paprika on top of the whole shebang. Breakfast is the most important meal of the day, and it can be the most delicious too. But don’t be tempted to think that Brits have a monopoly on putting together a ‘proper’ breakfast. We’ve handpicked 5 European delicacies that not only make a nice change from the traditional Full English Breakfast, these recipes are a doddle to whizz up in your kitchen at home and impress both friends and family at the start of the day. Preheat the oven to hot (220C) and heat up a large cast iron skillet. In a food processor, mix together the eggs, milk, flour, salt and nutmeg until smooth. Put the butter into the hot skillet and return to the oven until the butter is bubbling, then pour the batter into the skillet. Bake for 20 minutes until the pancake puffs up and the edges are brown and crisp. In a frying pan, fry the apples with butter and sugar until tender, then spoon into the baked pancakes and sprinkle with icing sugar. Cut into slices and serve hot straight away. Add the chopped chocolate to 60ml of water and melt in a bain-marie or in the microwave. Stir in 30ml of hot water followed by the hot milk and mix until the chocolate mixture is smooth. Pour the drinking chocolate into 4 cups and add sugar as necessary. Decorate with cream and chocolate shavings and serve. Gently fry the garlic and onions in a tablespoon of oil in a large non-stick pan over medium heat for 3-5 minutes until soft, then place into a large mixing bowl. Mix with the potatoes, chorizo, parsley, paprika, and season well. Heat the butter and remaining oil in the frying pan and add the potato mixture, spreading and gently pressing until it is evenly distributed in the pan. Cook over a medium heat for 8-10 minutes until crisp and golden, then turn and repeat cooking on the other side. Cut into wedges and serve hot. Combine all the ingredients in a large bowl, then cover and leave to soak in the fridge overnight. Serve at breakfast time with extra milk or fruit, or on its own. In a large bowl, mix the minced salmon and egg yolk and season well. Parboil the egg for 3 minutes, then peel carefully, dry and sprinkle with salt. Coat the egg with the salmon mixture very gently then roll in the flour, then in the beaten egg, then in the breadcrumbs. Make sure it is coated all round. Deep fry the coated salmon egg carefully in a pan of sunflower oil until golden brown all over, then remove with a slotted spoon and drain on a kitchen towel. Serve sprinkled with salt and garnished with parsley. America’s Best BreakfastsI am probably the biggest Food Network and Cooking Channel fan in the world. As a foodie and food blogger, I’m drawn to them like my husband is drawn to home improvement stores. 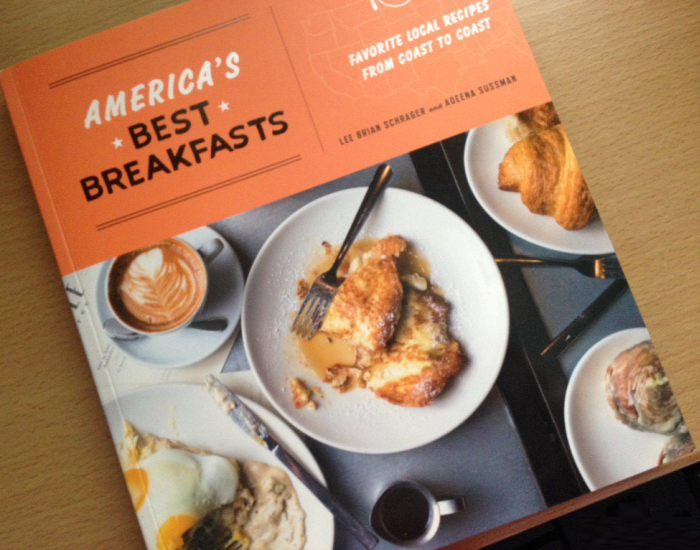 As a cookbook collector AND Food Network/Cooking Channel fanatic, I’ve found a cookbook that seems custom made for me: America’s Best Breakfasts by Lee Brian Schrager and Adeena Sussman. This beautiful, fun, and highly unique cookbook is packed with breakfast recipes that are NOT your grandmother’s breakfast recipes. They’re insanely original, exciting, and F-U-N. The authors have attacked a meal of the day (the one most people consider the most important one) that can get pretty boring. They didn’t just give breakfasts a wake up call, they’ve infused new life into the whole shebang. Whether you love breakfasts first thing in the morning, tend to prefer “brunches,” or love breakfast meals for supper – this is a cookbook that’ll give you endless options, ideas, and inspiration. America’s Best Breakfasts isn’t just a great cookbook, it’s an especially fun read because it reads like a Food Network episode – you not only get to see (and then make) delicious looking food, you “meet” the colorful people behind the restaurants and food. As I read through the book, I kept thinking, “I wish they’d turn this into a series.” Seriously, it’d be a winner. 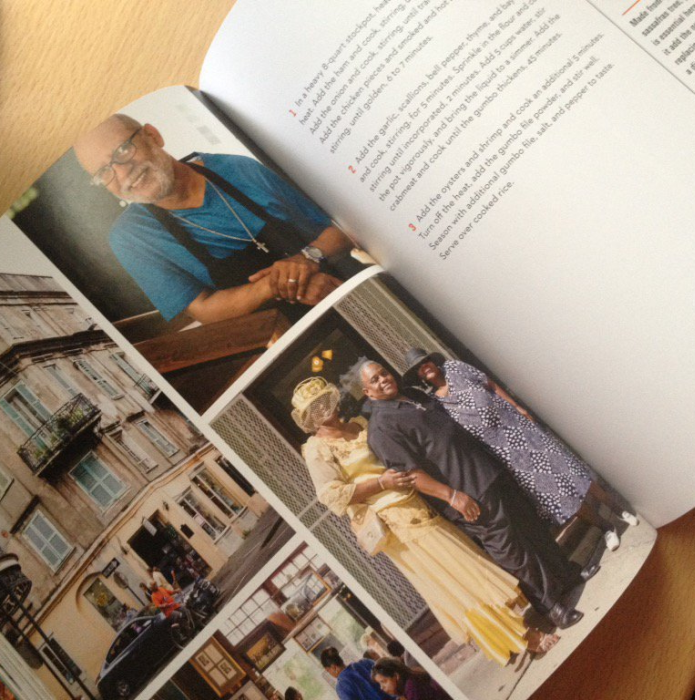 The great recipes are, of course, the best thing about the cookbook – they’re easy to make and delicious to eat. What’s more, they’re highly unique – like “Pacos” (pancake tacos), “Old Fashioned Oatmeal Breakfast Smoothies,” “Coconut Pancakes,” and “Roasted Potato Phyllo Pie” (just to name a few). America’s Best BreakfastsBig, beautiful pictures are throughout the book, which is something else I love – pictures of the food, restaurants, and people you get to know along the way. This is just a really exceptional cookbook and I know you’ll love it as much as I do. And I still wish they’d turn this into a Food Network series…. LEE BRIAN SCHRAGER is the founder and director of the Food Network & Cooking Channel South Beach and New York City Wine & Food Festivals. He is also the vice president of corporate communications and national events at Southern Wine & Spirits of America and the author of Fried and True and The Food Network South Beach Wine & Food Festival Cookbook. A graduate of the Culinary Institute of America, Lee has appeared on Today and Rachael Ray, and serves on the board of directors for the Food Bank of New York City. He lives in Miami and New York City. ADEENA SUSSMAN is a cookbook writer and recipe authority. In addition to this book she also collaborated with Lee Schrager on Fried and True, and is the coauthor of many other cookbooks. Her work has also been published in Food & Wine, The Wall Street Journal, Martha Stewart Living, Every Day with Rachael Ray, and on Epicurious and Food Republic. As (bad) luck would have it, we don’t have an IHOP’s in Owensboro, so that means breaking out the electric griddle and making one of my favorite recipes for buttermilk pancakes. The recipe is from my most-used, most-trusted, and most-loved cookbooks ever: Southern Biscuits . The fact is, it’s my go-to cookbook for biscuits, buttermilk pancakes, honey-mustard, and a slew of other outstanding recipes. The cookbook gives the recipe below using regular milk, but as the authors tell us, you can substitute buttermilk. The buttermilk gives pancakes that special something (in the fluffiness AND flavor) that sets them apart from every other pancake in the world, so don’t even think about making pancakes without buttermilk! First off, you need the Southern Biscuits recipe for “Homemade Refrigerator Biscuit Mix.” Alternately, you CAN use store-bought biscuit mix. I’ve personally never used the store bought mix, but I see no reason in the world why it wouldn’t be just as wonderful. Fork-sift or whisk the dry ingredients in a very (very, very) large bowl. Scatter the shortening, lard, or butter over the dry ingredients, then work it in with a pastry cutter (or two knives doing a scissor like dance) until the mixture resembles well-crumbled feta cheese, with no piece larger than a pea. Shake the bowl occasionally to allow the larger pieces of fat to bounce to the top of the flour – this way you’ll find the fatties that still need mixing in. Store the mix in the refrigerator in an airtight container until ready to use. Stir the buttermilk and egg together in a bowl, add the biscuit mix, and stir until just combined. Heat a nonstick skillet or griddle over medium-high heat. For a 4″ pancake, pour 1/4 cup batter onto the hot skillet. Cook until the edges begin to dry and the top begins to show bubbles. Turn and cook 1 to 2 minutes until the underside is golden brown. If the batter stars to thicken as it sits, add a little milk to thin the batter. Serve warm. I can’t say enough good things about Southern Biscuits. 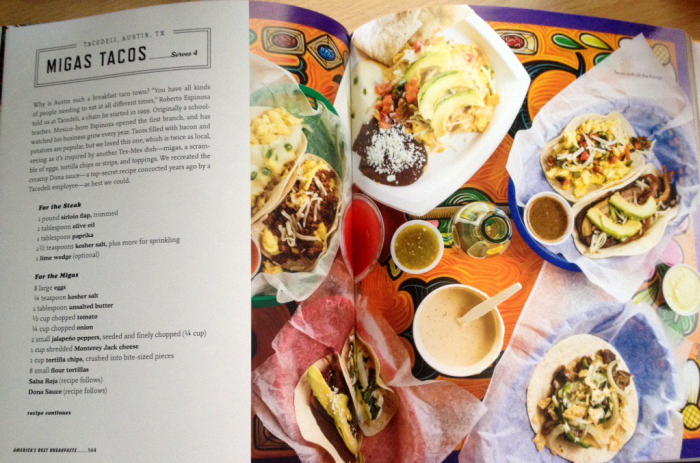 I 100 percent urge you to buy this wonderful (and downright lovely) cookbook today. You can read my Southern Biscuits Review by clicking the link. I know the way to my oldest daughter Emily’s heart – a straight shot like an arrow: Stuffed French toast. I think I could convince her to invade a small country after serving her a plate of French toast… a large country if it’s stuffed French toast. There are endless combinations and options for making French Toast, but the quickest (and possibly the most delicious) is the one described below. My favorite bread to use is Texas Toast. Everyone has their own bread they swear by, but for me, Texas Toast is the best way to go. Another thing I’m a stickler for is the recipe. I’ve found that using an electric griddle is the easiest and most efficient way to make French Toast. I use the same recipe for French Toast that I always have. I’ve tried different versions, but always return to the one below. It’s from one of my oldest, dearest, most-used, don’t-know-what-I’d-do-without-it cookbooks, Betty Crocker’s New Cookbook . When I talk to new cooks, the first cookbook I tell them they HAVE to get is this one. Fact is, even if you’ve been cooking for 20 years, you need this cookbook. The recipes are exceptional. Beat eggs, milk, sugar, vanilla, and salt with hand beater until smooth. Heat griddle or skillet over medium-low heat or to 375 degrees. Grease griddle with margarine if necessary. (To test griddle, sprinkle with a few drops water. If bubbles jump around, heat is just right). Dip bread into egg mixture. Place on griddle. Cook about 4 minutes on each side or until golden brown. Before dipping the slices of Texas Toast, stuff them with delectable cream cheese. With a very sharp knife, cut each piece of Texas Toast almost entirely in half (making it look like 2 pieces of traditional-size bread). Spread a layer of Whipped Philadelphia Cream Cheese on an inside slice and press the two halves together. NOW dip the slices into the egg mixture and proceed with the recipe above. 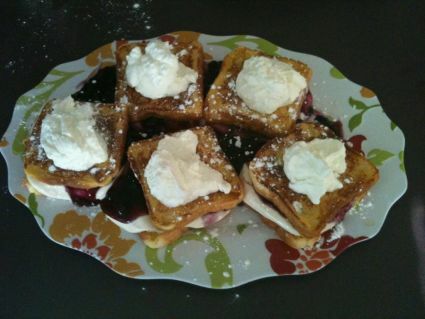 After placing the Stuffed French Toast slices on a platter, top with either a homemade fruit topping or a can of pie filling (blueberry, blackberry, strawberry, peach…). Top this with homemade whipped topping or whipped topping from a can and (optional) dust the entire production with a little powdered sugar. This makes a delicious showstopper. I can’t say enough good things about Betty Crocker’s New Cookbook . When I talk to new cooks, the first cookbook I tell them they HAVE to get is this one. What’s more, even if you’ve been cooking for 20 years, you need this cookbook. The recipes are exceptional. So many of my all-time favorite recipes are from this cookbook. I can’t even tell you how many of these recipes I use again and again and again. My favorite pancake, French Toast, Buttermilk Biscuits, eggs, divinity, peanut brittle, pie crust, hummus, guacamole, white chili, beef stew, and chicken & dumplings recipes are all from this cookbook. And that’s just off the top of my head. Get. This. Cookbook. Today. Every cook must have a great omelet recipe. There’s just no getting around it. Before you approach the recipe, however, you need to make sure you have a perfect pan. My favorite pan for omelets is the Giada De Laurentiis for Target 12″ Stainless Steel Nonstick Sauté Pan. You can find Giada’s outstanding line of pans, dishes, and more at Target or Target.com. I’ve used countless pans over the years for omelets and omelet recipes – this pan is, simply put, the best. Go to Target. Buy the pan. Be an Omelet rock star. I recently bought a bag of Kraft 3 Cheese Crumbles for poking cheese into burgers before my husband grilled them (along with garlic, but that’s another post!). I had some cheese crumbles left over the next morning, which was surprising given the way I was noshing on them straight from the bag. I decided to use them in a couple of omelets and the results were cheesy and spectacular. I strongly recommend using this 3 cheese blend in your next omelet recipe. Below is my favorite. Heat butter in a great omelet pan or skillet on medium-high heat. You want the butter to melt but you don’t want it brown. As the butter melts, tilt the pan to coat the bottom. Quickly pour the beaten eggs into the pan. As you slide the pan rapidly back and forth over the heat, stir the eggs with a fork to ensure that they spread across the bottom of the pan and begin to thicken. Let stand over heat a few seconds to lightly brown the bottom of the omelet. DO NOT OVERCOOK. Remember, eggs continue to cook after they’re removed from the heat and an omelet will continue to cook after it’s folded. Sprinkle some of the cheese crumbles (about 1/4 cup) onto one side of the omelet’s surface. Tilt the pan and run a fork or narrow spatula under edge of omelet and move the pan in a jerking motion to loosen the eggs from the bottom of the pan. Fold the omelet over the melting cheese… what a beautiful sight… and remove to a warm plate. There are endless options and combinations – but every now and then a gloriously plain and simple cheese omelet is where it’s at. Especially if you get jazzy with the cheese. Give Kraft’s 3 Cheese Blend Crumbles a shot – you’ll love them. After browning and draining the ground sausage, divide the crumbles into the unbaked pie shells. Top with cheese. Mix the other ingredients together (including a little salt and pepper) and pour over the sausage and cheese. Bake at 375 degrees for 40-45 minutes. It’s surprising how easy it is to boil an egg, yet how many people get it so wrong. Below are quick and easy instructions on how to make the perfect boiled egg every time. First, run enough cold water in the saucepan to cover your eggs by at least one centimeter, or about a half inch. If your eggs are not fully covered by water, they’ll crack because of the difference in temperature between the part of the shell exposed to the air. Place your eggs in the water, make sure they’re covered, and turn the heat up to medium high. Once your water starts to boil, turn your timer on – 3 minutes for soft boiled eggs and 6-7 minutes for hard boiled eggs, then turn your heat down to medium. Stir the eggs at least once half way through the boiling process to make sure they cook evenly. Don’t cook your eggs too long. Boiling your eggs too long will result in a green ring forming around the yolk which is unsightly and makes the egg taste bitter. Generally, 6 minutes at a rapid boil is the limit to how long you want to boil an egg. When the eggs are finished cooking, there are a number of different ways to serve them. You can simply serve them as-is in an egg cup with toast, or you can cook them a little firmer and use them to make egg salad sandwiches. A lot of people like to dice boiled eggs and add them to a nice garden salad. A few of my daughters, and my husband, love to approach eggs with a bottle of hot sauce in hand. Personally, all I ask for is my pepper shaker and I’m good. However you decide to cook them, eggs make for a quick, easy and inexpensive way to add extra protein, nutrients and Omega 3 to any diet! Boiled eggs are especially nice because you dodge the frying as well as the butter. I subscribe to quite a few Health and Fitness newsletters. One of my favorite is Doctor’s House Call by Al Sears, M.D. – In fact, if I had to whittle down my e-mail newsletters and only keep one, his would probably be the one. This morning’s edition was about breakfast food and the importance of eating a healthy breakfast. His suggestions seemed a little unusual at first, but the more I think about them… the more I climb right up on board! At the time of writing this particular newsletter, Dr. Sears was eating breakfast: Salmon. I can’t say that I have ever eaten fish for breakfast! When the low-fat craze started decades ago, many turned their backs on the breakfast foods enjoyed fifty or sixty years ago. In their place, bread and cereal products took center stage. Today, millions of people will reach for doughnuts, muffins, bagels, croissants and hundreds of different cereals during their morning routine. The big food makers even claim their cereals are “heart healthy.” That’s good for a laugh. High-carb breakfasts do the opposite of what a good breakfast is supposed to do. Instead of feeling alert and energetic, today’s breakfasts make you fat, slow and tired. Bagels and doughnuts are fun in the morning, but after the initial buzz, your blood sugar will sharply drop. This will leave you feeling tired and sluggish. You’ll also have trouble concentrating. And if you’re busy at the office, that’s bad news. Don’t forget that spikes in blood sugar trigger a flood of insulin. Do that all the time and you’re on the fast track to obesity and chronic disease. For breakfast, protein is king. It’s my favorite meal of the day. I try and change it up to keep it interesting, but meat or fish is always the centerpiece of my morning meal. As strange as it may sound to you, fish is a great breakfast food. The Japanese eat fish and vegetables first thing every morning. They have for over fifteen-hundred years. To go with the meat or fish, I scramble some eggs and add a leafy vegetable – usually spinach. That way, I get a well-rounded meal; complete with lots of protein, essential nutrients and antioxidants. All of a sudden, baked fish and scrambled eggs with spinach and tomatoes sound delicious. I’m sure I’d toss in a little of my beloved Sargento cheese and chives. Shrimp would also be fantastic in an omelet or scrambled eggs. Now the good doctor has me craving fish and eggs. I hope my husband’s ready for some fishy breakfasts!